Discussion in 'Completed Pin Sales' started by Spr175psu, Sep 13, 2018. 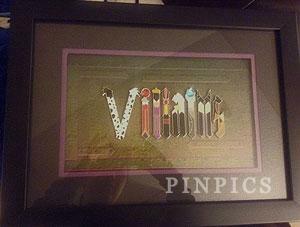 Hi, just bought the Villains letter framed set but only need Hades so the rest are for sale. $25 shipped per pin and is in hand and ready to ship! Please PM or reply to the thread if interested. Thanks for looking! I would be interested in Maleficent. Thanks! Looks like I am too late for maleficent... But if something changes... Would love maleficent. Bumpity bump bump bump. Consider this last call for the rest of the set and then I’ll cross post elsewhere. Thanks! @DisneyJ i have you down for mal and will send a pm tomorrow. Thanks!